These porcelain napkin rings from dinner-ware are exactly what I've been looking for to dress up my table yet still keeping things somewhat casual for the day-to-day. How about you? 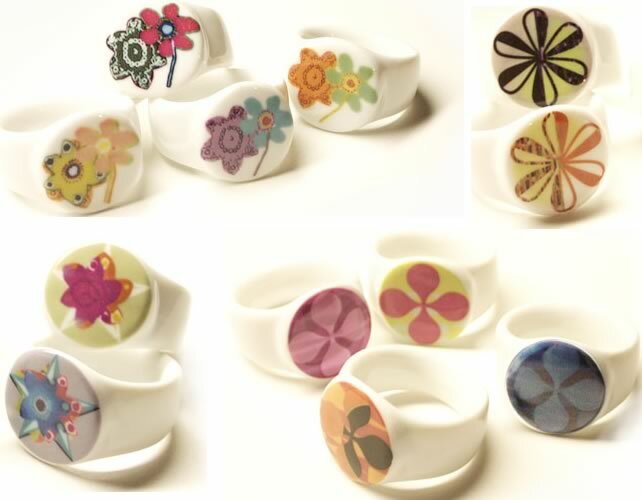 These are available in six styles (mod dot, sunburst, flowers, alphabet, star flowers, pinwheel) and look good either as a set or if you choose, you can mix and match 'em. 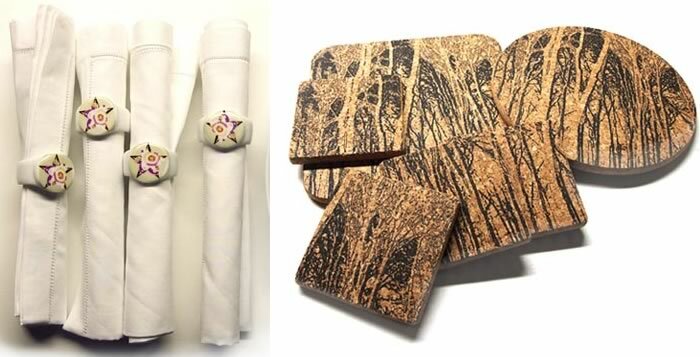 I love these birch cork coasters, too.